In just a few short weeks, kids across the United States will head back to school. For many teachers (and students), the first days of school can be overwhelming – there are new names, new personalities, new friends, new teachers, and new classrooms to adjust to. 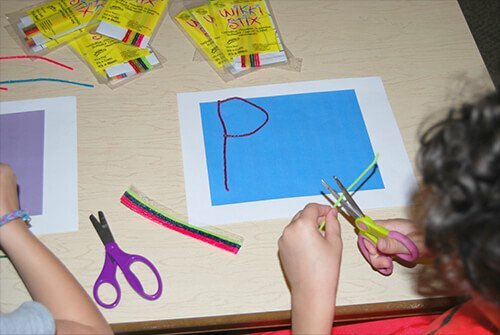 For elementary teachers, the Wikki Stix fine motor name tags and created numbers will provide hands-on FUN for the students (and offer a chance to observe fine motor skills) as the kids create. The name tags and numbers activities are perfect for back to school orientation night or for students to create during the first week of school. One printable name tag background – 4 different background colors are free to print here. 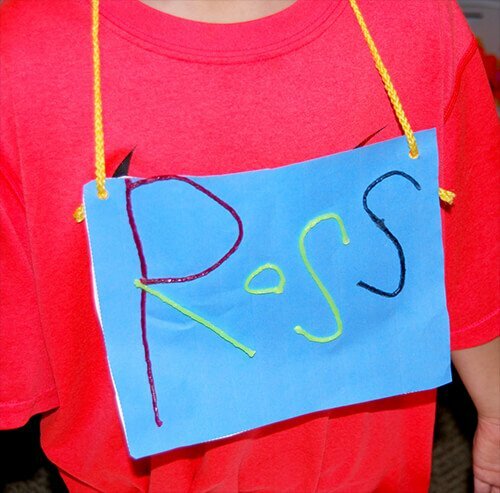 Print the name tag background (linked above) for each student. Laminate the backgrounds or cover with clear contact paper for durability. As the kids arrive, set out assorted colors of Wikki Stix, the laminated backgrounds, and scissors. 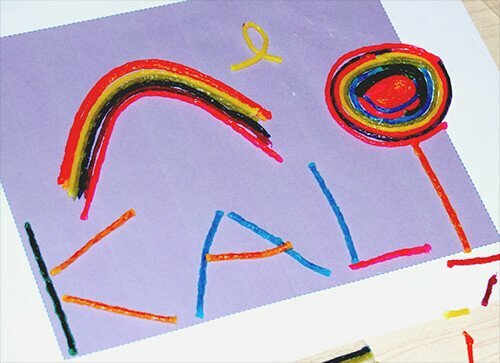 Kids can create their names with Wikki Stix and decorate their name tags as desired. Hole Punch the ends of the created name tags, thread with yarn or string, and kids can then wear the name tags throughout the first week of school. 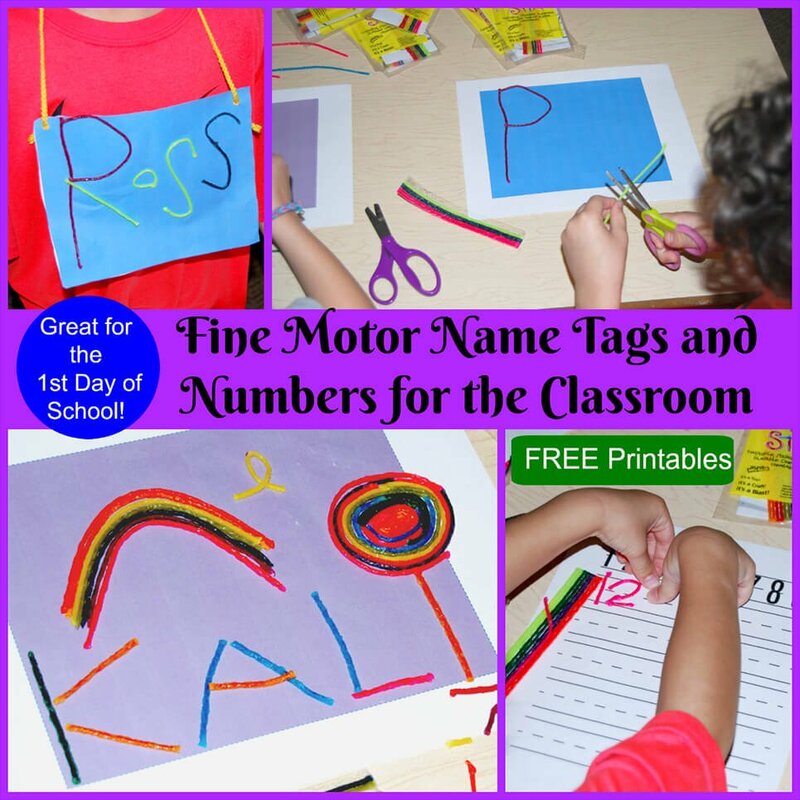 Note for teachers: observations made while the kids create their name tags can offer wonderful insights into fine motor skills, letter creation and formation, and scissor skills. One free printable numbers creation mat for each student – print here. Print the numbers creation mat for each student and laminate for durability. Set out assorted colors of Wikki Stix and scissors. Kids can then create each of the numbers 1-9 with Wikki Stix. Note for teachers: remind kids to keep “thumbs-up” while cutting Wikki Stix. 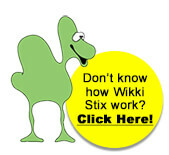 Turning the scissors or cutting with poor form will bend the Wikki Stix, but it will not make a clean cut.